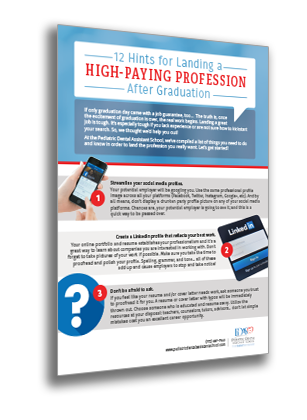 Thank you for requesting our “12 Hints for Landing a High-Paying Profession After Graduation!” I hope the hints inside help you land the dream profession you’ve always wanted. Get your guide – Click Here! And don’t forget, you can stay up-to-date with our blog and follow us on Facebook for additional reports, guides, and pediatric dental assistant information.